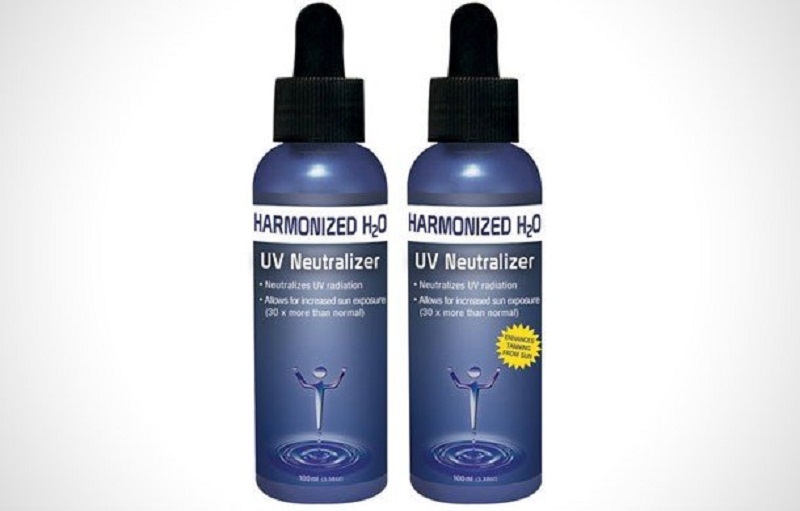 Osmosis Skincare’s UV Neutralizer Harmonized Water is a new drinkable product that claims to provide the equivalent of SPF 30 for up to 3 hours. However, dermatologists are highly skeptical of the sunscreen’s claims. The UV Neutralizer works by supposedly making water molecules that are just under the skin vibrate. The vibration apparently will emit frequencies that work to cancel out UVA and UVB radiation frequencies, protecting users from the burns they can cause. While the idea sounds interesting, dermatologists aren’t sure it will actually work. Yet Osmosis Skincare does not offer any sort of proof whatsoever. Dermatologist Michael Shapiro, MD, is also from NY, and says that “saying that their water is ‘imprinted’ with vibrational waves which ‘isolate’ the frequencies that protect against UV rays is dubious at best.” He continued to say that company’s explanation of how the UV Neutralizer works is too vague to be taken seriously. Osmosis Skincare’s founder Ben Johnson, MD, also offered very little details on the product. In fact, the UV Neutralizer did not even received clinical trials. Instead, the company tested the product on 50 people who stood out in the sun for an extended period before the product was bottled up and shipped off for consumer purchase. While the whole thing sounds incredibly sketchy, there is proof that some sun protection can come from the inside-out. Certain foods, like grapes, berries, and walnuts, can offer nutrients which actually do protect people from the sun. However, these foods certainly do not act as a substitute for sunscreen. While there is no proof that Osmosis Skincare’s UV Neutralizer Harmonized Water doesn’t work, it might be best to remain cautious of the sunscreen before purchasing it.